In Dougherty v. Heller, No. 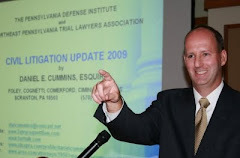 443 EAL 2014 (Pa. Feb. 4, 2014), the Pennsylvania Supreme Court has issued an order agreeing to review several issues raised with respect to a request to videotape a pre-trial deposition of a witness in a defamation action. 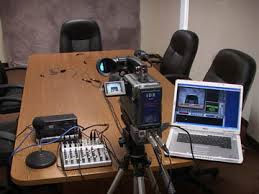 Obviously, the Court's ruling on this issue will have an impact on the increasing trend of the Plaintiff's bar videotaping the depositions of party defendants in personal injury actions. The Court's Order outlining the issues it will determine can be viewed HERE. The Superior Court's en banc Majority Opinion can be viewed HERE (or at 97 A.3d 1257), and the Concurring and Dissenting Opinion HERE.